If you’re a working adult, it’s probably safe to say that you’ve changed jobs a few times in your career. With that said, it’s even more probable that a number of you have old 401ks sitting around from previous jobs that you don’t know what the fees are or where they are invested. Even if you are at the beginning of your working career and haven’t made a job change yet, there is still some valuable information for you here to keep in mind if you have the benefit of a retirement plan at your job. If you have an old 401k, there are a few options that you can consider. Option one is, if you read this blog and feel like you rather not be bothered, you can just decide to leave it with the old provider and hope that you’re earning more than you’re putting out in fees. Option two is, you can cash it out and request to take the money out. With this option, thought, it’s important to note that you will have to pay taxes and may incur a penalty if you’re cashing out before 59 and half years old. The last option is that it can be rolled over into your new 401k, if you currently have one, or you can roll it over into an IRA account. If you ask a Financial Advisor about old 401ks, they will strongly suggest you choose option three to consolidate your old 401k’s into one account. Having them consolidated is very easy and it will allow you to keep track of what you’re accruing and to know what your fees are. It is important for you to know where your money is and what it’s doing for you. 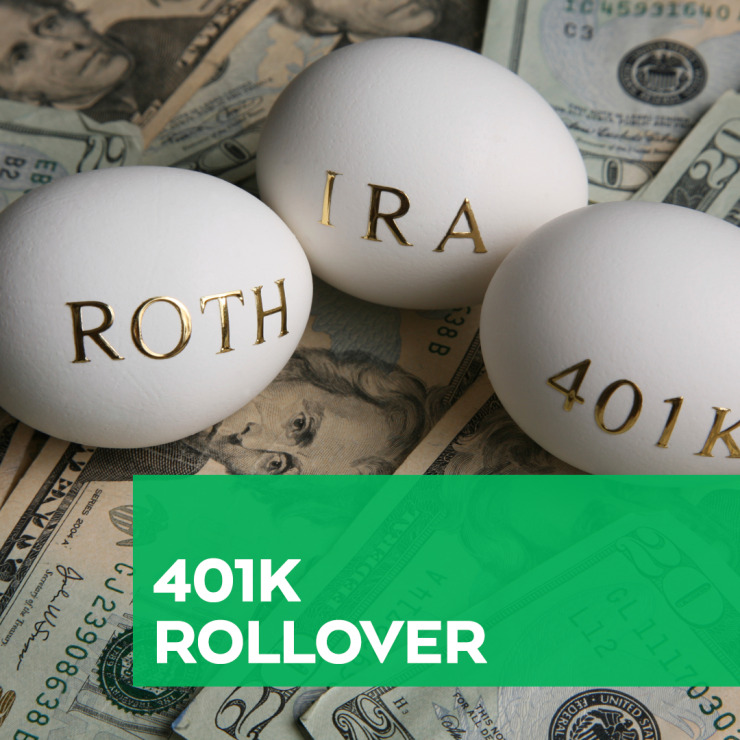 If rolling over your old 401k to an IRA sounds like the route you want to go, there are some steps you need to take in order to initiate this. The rolling over process varies from institution to institution. First you should have an IRA account already set up. Once you know which account you want to rollover your old funds into, you will need to reach out to the 401k provider that is holding your assets to alert them that you’d like to roll over funds. Some providers have an easier process and you can just initiate it online. See if this is an option for you. Some others will send you a request form by mail after you express interest in making the transfer or rollover. It’s fairly simple to do on your own, but a good Financial Advisor can help you with any questions you might have. How we can help in this process? InvestEd can monitor this entire process for you and guide you through these steps to make it go smoothly. When the assets are finally in your IRA, we can allocate them to match with your goals. Also, if you don’t have an IRA, we can support you in opening one so that you can begin the process of consolidating old accounts. There’s a lot more that can be said about 401ks and rollovers. Next Friday, February 15th at 1:00 pm, we will talk more about the various options surrounding a 401ks. In the meantime, we encourage you to reach out to us with any questions you may have on this topic. We’d be more than happy to answer your questions or sit down with you in a free financial planning meeting to help make sure you’re getting the most out of all your investment accounts.